Local primary school children listened this morning as RI Past President Bill Boyd, his wife, Lorna, and Australian author Nicole S. Kelly read children’s story books in Rotary’s Labyrinth for Literacy. 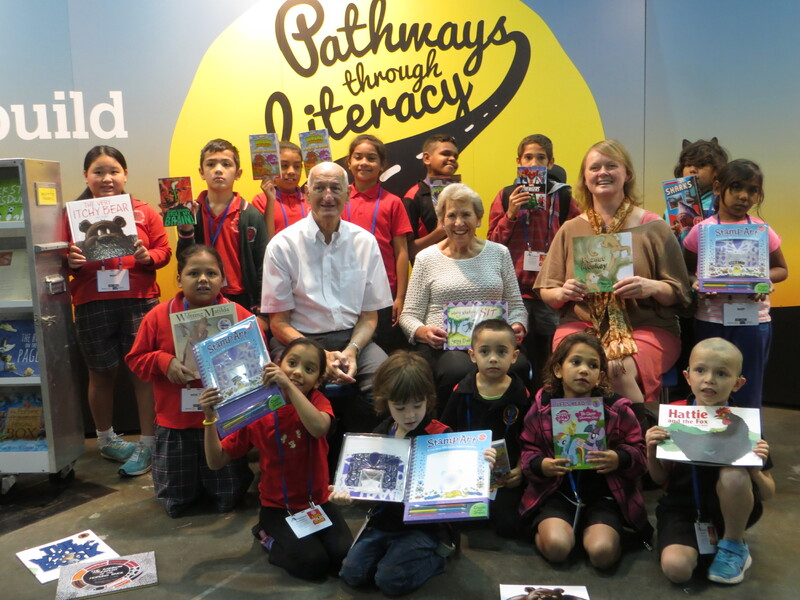 The children, from Jarjum College and Mount Carmel in Sydney, were delighted when they learned they would also receive a book of their own to take home. The Literacy Rotarian Action Group organized the event as part of Rotary’s convention.